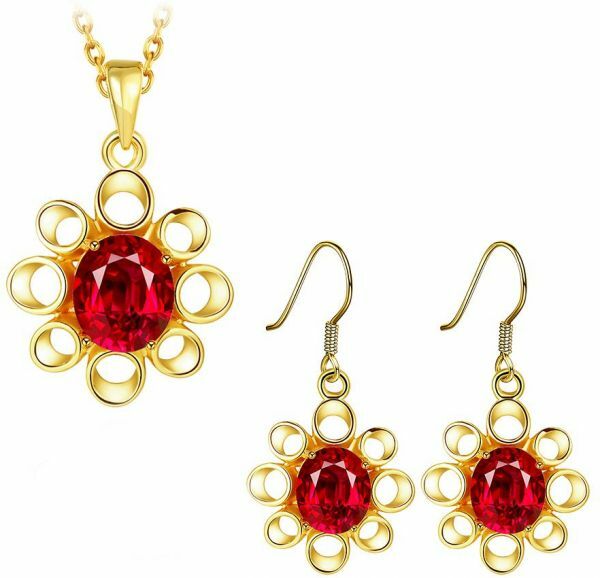 Sparkle your way through the evening with these sparking yellow gold plated jewelry set with red colored crystal which simply exhibit your energetic and vivacious nature. Keep away from chemicals and alcoholic items. Wipe jewelry with a soft cotton cloth.